In general, high voltage power network can be further categorized as distribution network or transmission network. The distribution network are normally considered to be operated between 415 V and 100 kV. The transmission network, which is a key infrastructure in power grid with higher reliability requirement, are generally considered to be operated at above 100 kV. In Australia, the transmission network are operated at 110 kV, 132 kV, 220 kV, 275 kV, 330 kV and 500 kV with an alternating frequency of 50 Hz. Electric substations, especially the ones in transmission networks, provide vital information to operate the NEM. 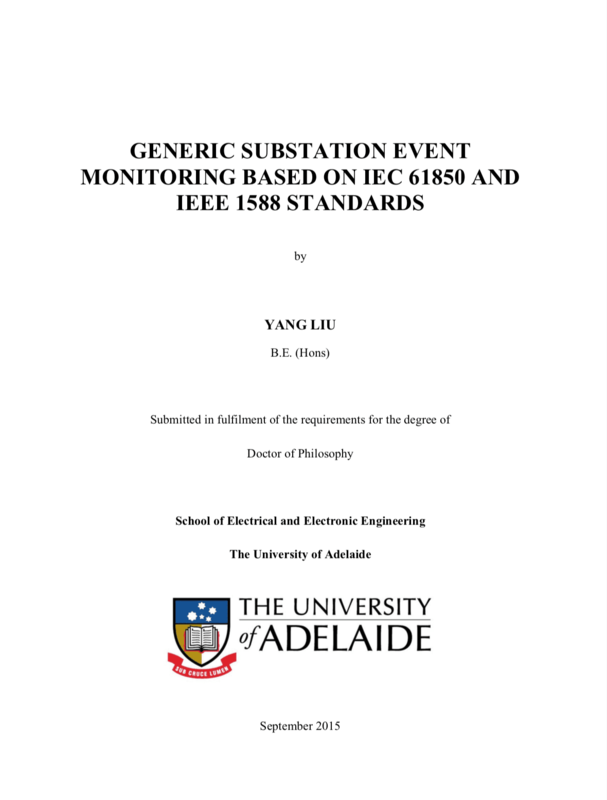 It is sensible to realise the integration of the advanced technologies to those substations is the most effective approach to respond to the previously described challenges for electric utilities. In general, electric substations include both primary and secondary equipment. The primary equipment such as power transformers, busbars, circuit breakers and instrument transformers, which are arranged in switchyard. Primary equipment are operated in an automated way via a SAS which is responsible for controlling, protecting, measuring and monitoring functions in substations. The devices that form the SAS are often referred to secondary equipment of substations. Different generations of protection devices, which are electromechanical relays, solid state relays, and microprocessor based relays, are employed in almost all modern SAS systems. 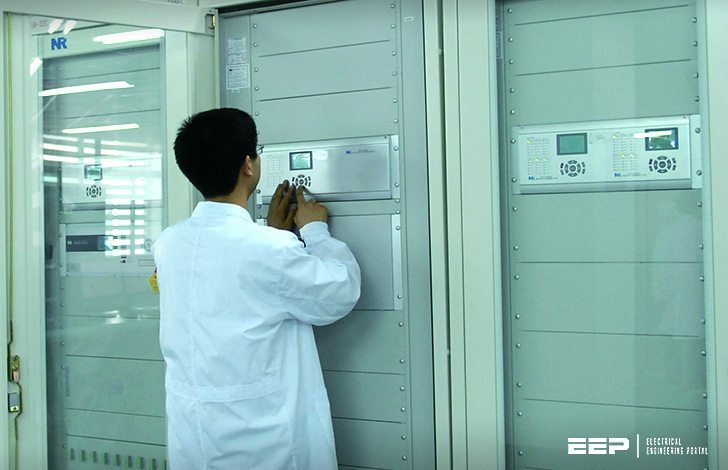 In particular, the electromechanical relays are still in widespread use and continue to be manufactured and applied. The opportunities for innovative approaches with the advancement in technology of both primary and SAS systems exist throughout the substation. New technologies with reduced footprint and more environmentally friendly primary equipment, such as disconnecting circuit breaker, high voltage vacuum circuit breaker and non-conventional instrument transformers, are becoming acceptable for electric utilities. More importantly, the revolutionary approach of implementing industrial Ethernet technology to SAS applications based on international standards has been well established by electric utilities. 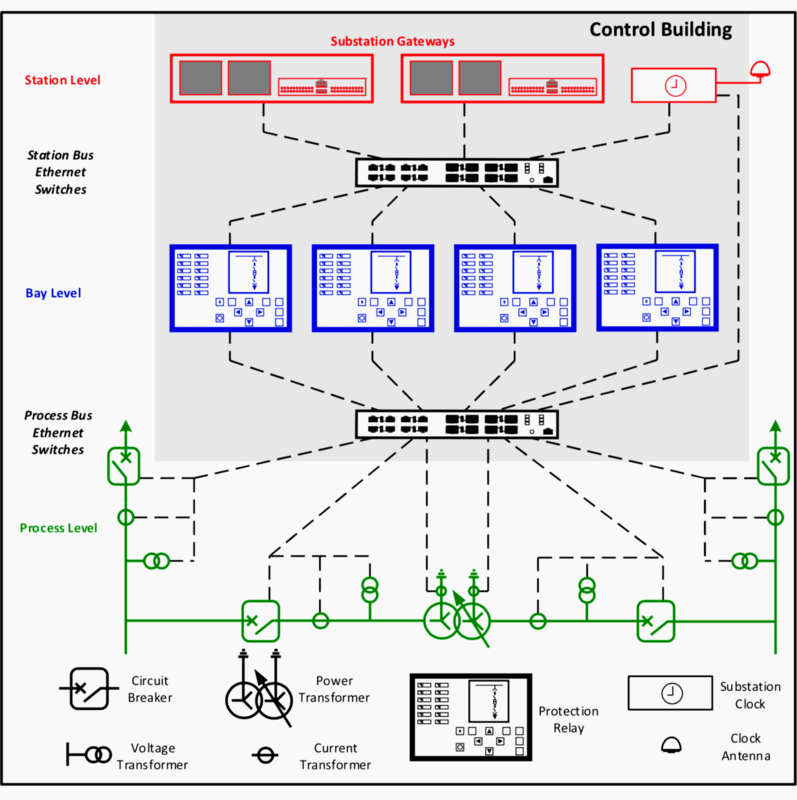 Such approach, which is shown in Figure 1 above, enables the connectivity between the switchyard equipment (process level) and SAS equipment (station level) within a substation control building.